Beautiful design, great color coordination, and powerful. Aspire is at it yet again. This mod captures your attention, thanks to the color scheme. You have the blue and yellow, for instance, with the colors complementing each other so well. It oozes class, but then that is not surprising, seeing that Aspire has been top of their game from the beginning. This mod is an upgrade of their previous release, and the design borrows heavily from the Aspire Plato AIO. 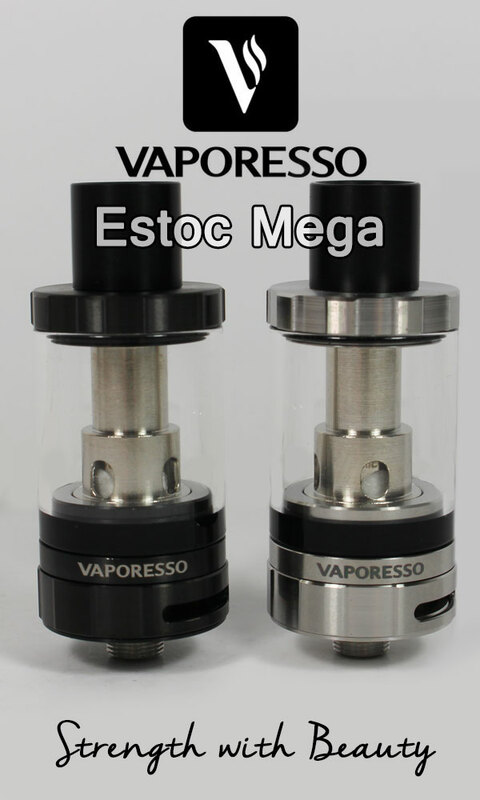 They have boosted the tank size, and the chip is of a higher wattage. The design has not changed much, but the colors have. 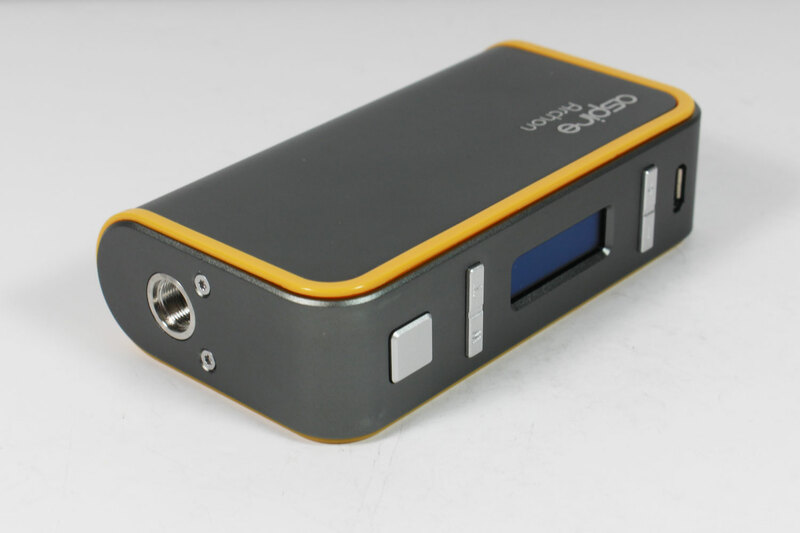 Here is a full review of the Aspire Archon 150W. From the box, you will have the mod, a USB charger, manual, and the warranty card. 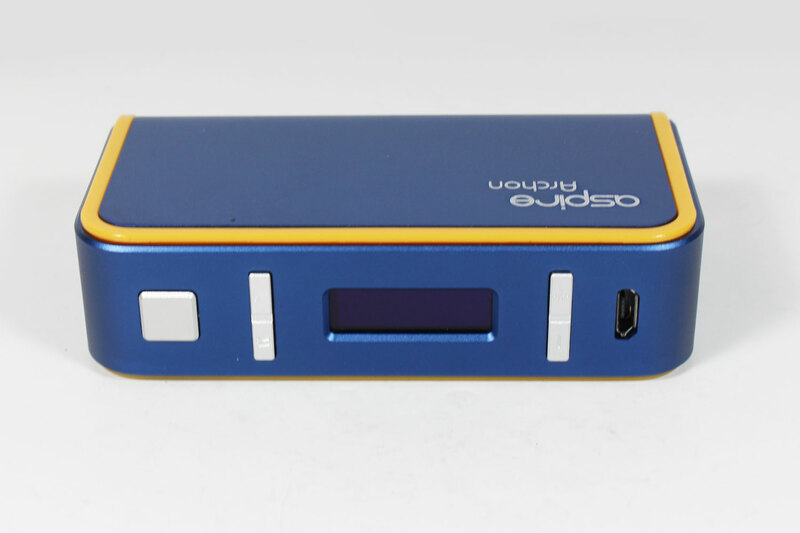 The mod comes in three distinct colors: blue with yellow accents, dark gray with yellow lining (a lighter shade of yellow), and blue with yellow lining. The colors make this mod stand out and even make it look stylish and sophisticated. I like blue the most. 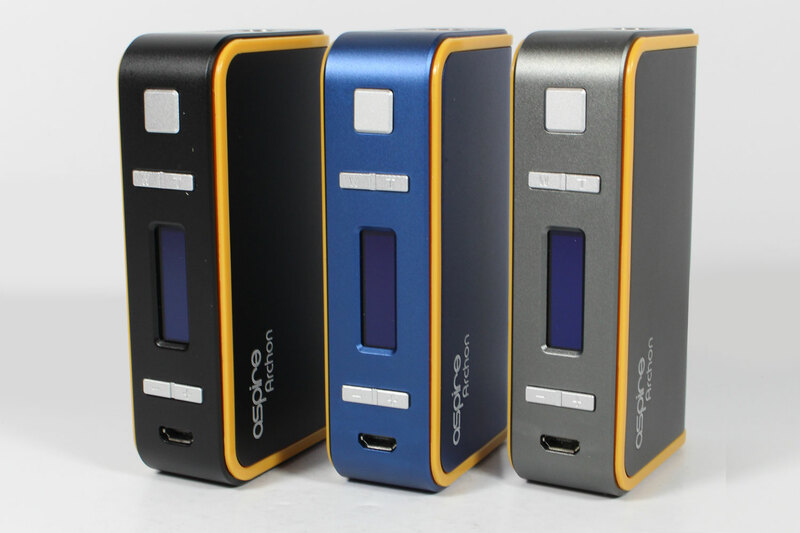 Aspire Archon requires two 18650 Lithium-ion batteries, which is sold separately. 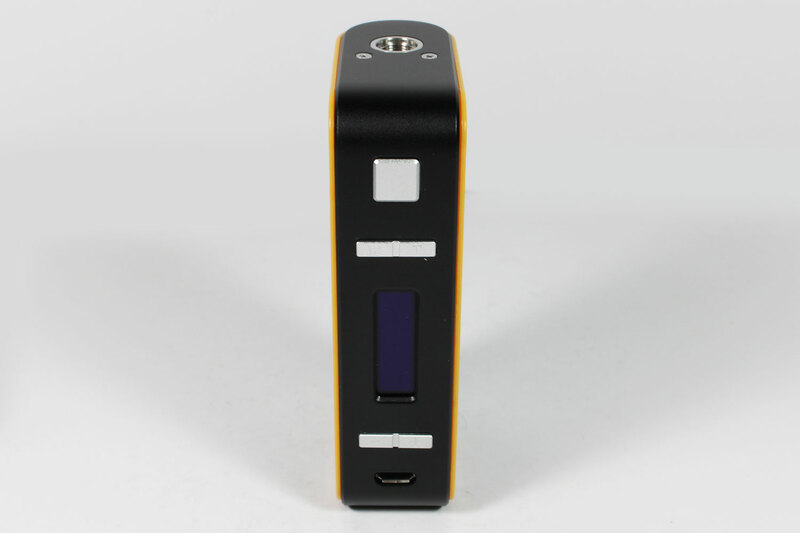 The mod has a chip that holds up to 150 watts of power. The Archon is an excellent quality build constructed with durable zinc alloy. With a spring loaded 510 connection, there is no shortage of connection for the atomizer. It is rounded and smooth to the touch. It comfortably fits in the hand, and even though the body is smooth, it does not slip. The outer cover is removable and easy to slip back and forth. It attaches to the rest of the mod through magnets. A slight con here is that the cover gets a little loose and rattles when you shake the mod, but nothing that a little squeeze cannot fix. One other thing that could raise concern after a while of usage is the ability of the magnet to hold the outer cover in place. Time will tell. The OLED screen is large enough to allow customization. With a 0.86 inch screen, you can have your name or logo displayed to take the design a notch higher. The package comes with tutorials on how to do that, and so you are only a few steps away from customizing you mod. The buttons are easy to access. To turn it on, you need five clicks on the main button, and five on the same button to turn it off. There are plenty of other buttons too, all meant for settings. It saves your original settings, which you can always change along the way. The buttons click easily, and they are placed in a comfortable position that won’t get in the way of your vaping. Other features include the ability to input a passcode (child lock feature) to keep your settings save and to prevent unauthorized persons from making changes on it. The display on the side lets you see your settings and the power status of your battery. Once the passcode in place, your mod is practically useless, unless you enter the code it correctly. That also means that if you forgot it, this would lock you out just like everyone else. You would have to download the firmware from Aspire and reset the device. Onto one of the most significant bits of the Archon 150W; vapor production. 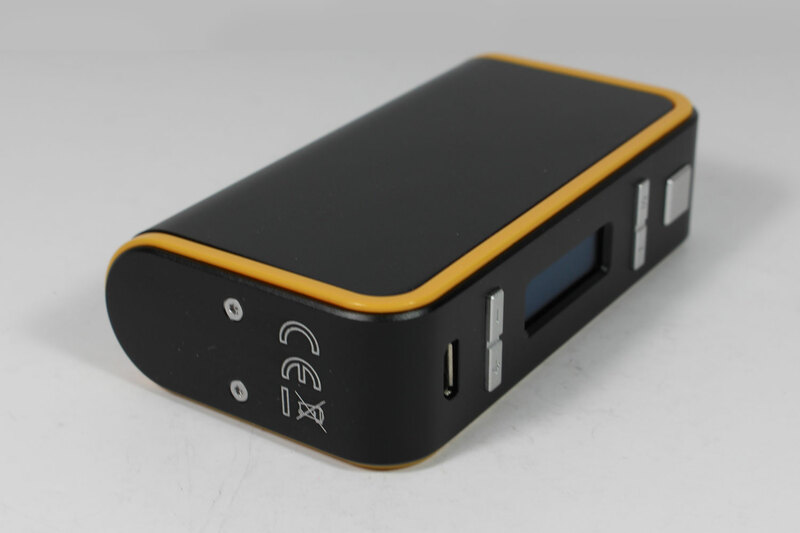 This mod produces a great amount of vapor especially with its ability to reach up to 150W. One deep inhalation produces an impressive vapor, and the flavors hit just right when connecting it will the right sub ohm tank. This is certainly in line with the rest of Aspire products, and we are certainly impressed by the continued quality. 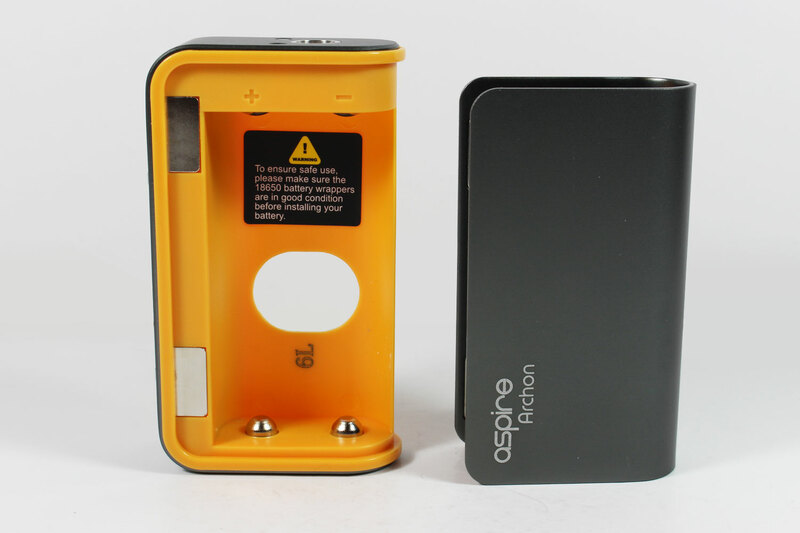 At the back of the mod, two holes ingeniously poked, make it easy to remove the batteries. On the side of this mod is where the USB charging takes place. I especially like the positioning (as opposed to having it at the bottom) because you can set it upright as it charges so you can avoid any leak issues. You can customize it to include your name on the OLED screen. The Aspire Archon surely achieves its purposes working great with many types of tanks. It has a nice and light body making it easy to carry around. 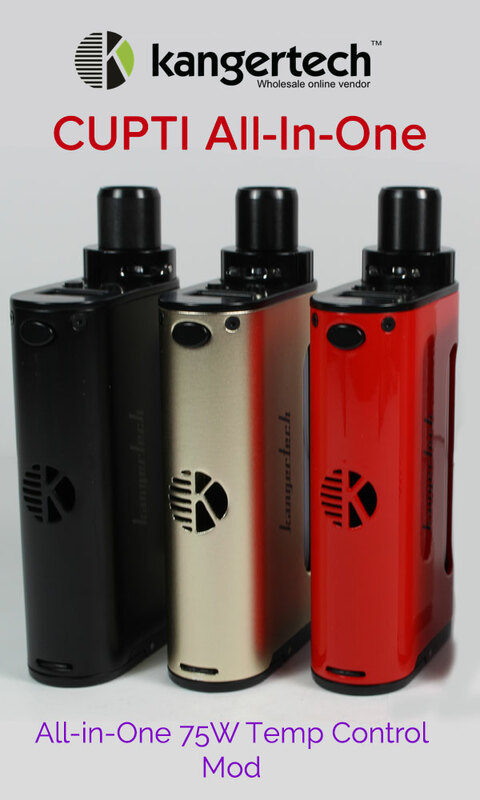 And you can’t go wrong for the price of it with its ability to produce an output of 150W. 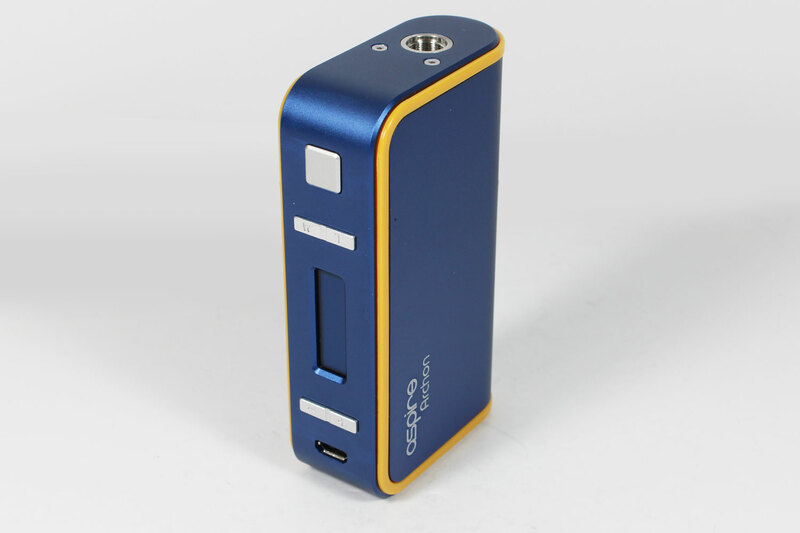 Purchase the Aspire Archon 150W here.